Article first published as Concert Review: My Morning Jacket at Paramount Theatre, Seattle, WA, 6/26/11 on Blogcritics. If there’s one thing that My Morning Jacket has shown us over the course of six albums, it’s that it’s a band unafraid of change. Vibrant guitar freakouts, countrified Americana, spacey electronic-tinged songs, funky jams — you’ll find all of ’em in the band’s repertoire. 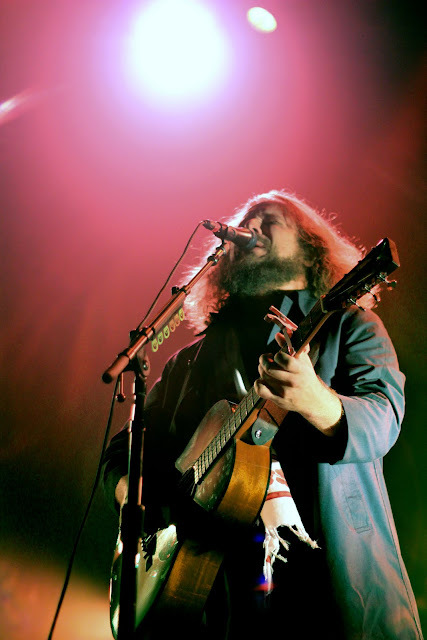 If there’s one thing you’ll take away from a live My Morning Jacket show, it’s that Jim James and company can tear the cover off of any of these types of songs. 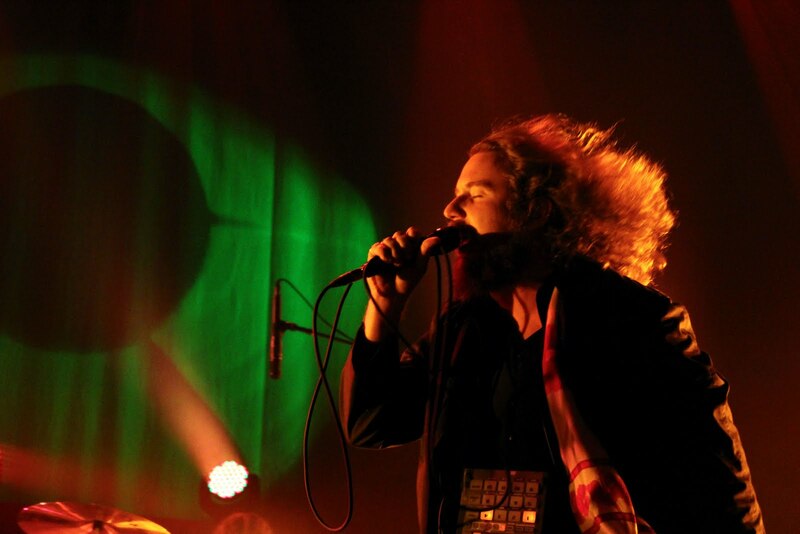 My Morning Jacket’s legendary 2008 set at Bonnaroo — a four-hour affair — is hardly atypical behavior for these guys. Sunday’s show at Seattle’s Paramount Theatre stretched to nearly three hours as the band tore through 26 songs, only briefly coming up for air. Almost all of the band’s May release, Circuital, was represented, with the rest of the songs split between It Still Moves, Z and Evil Urges, with a song each from early albums The Tennessee Fire and At Dawn. Taking the stage like a madman with a bomb strapped to his chest — actually a sampler hanging from his neck — James and the band launched into the first three songs from Circuital with supreme ferocity. One might have expected the pace to ebb and flow from there, but there was little slowing down to be seen, with only brief interludes for folksier songs like “Golden” punctuating extended barrages of heavy, psychedelic guitar rock. 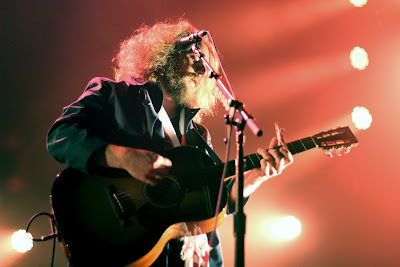 My Morning Jacket’s jam band tendencies can be cause for fatigue (a condition most apparent in its slightly overextended encore), but with the virtuoso guitar work of Carl Broemel and the manic presence of James, who makes every square inch of the stage his personal playground, the band is never less than engaging. At their most assured and dynamic — set closer “One Big Holiday” and encore finale “Mahgeetah,” for two — James and My Morning Jacket are nothing less than rock gods. It’s hardly hyperbole to liken these guys to Led Zeppelin — a comparison perhaps not apparent when listening to the albums, but suddenly much more plausible in the wake of a three-hour run of eardrum-shattering, breathlessly vigorous rock ‘n’ roll. Complete set list after jump.